FCHC supports women in taking an active role in their well being by providing professional, affordable, confidential health and abortion care. We promote patient rights through all of our services. Practicing to the highest standards of the National Abortion Federation, ACOG and the Virginia Board of Medicine, we have an unparalleled safety record in abortion care. FCHC is a community-oriented gynecology center. Our patients benefit from the 40+ years of reproductive and women’s health care our staff has provided. We provide professional and confidential health care at affordable fees for private pay patients and welcome most insurances, Payment plans can be arranged as are some funding assistance for both unexpected gynecology and for abortion care. Kindness, Courtesy, Understanding and Respect are cornerstones or our patient-staff relationships. Our staff and center aim to create a safe and caring environment for all of our patients. We welcome patients of all cultures, sexual orientations and gender expressions, including the unique needs of Lesbian, Bisexual, Transgender and Queer patients. FCHC is committed to understanding, supportive, quality health care. We are a SAFE PLACE to make an important decision. Our staff of licensed gynecologists, nurses, health educators, counselors, and administrators are professionals who specialize in reproductive health care. Our staff and clinicians are multilingual and multicultural. We are committed to every woman’s right to become a participant in her own health care. This includes the right to have your questions answered and to be informed about your medical diagnosis, procedures, possible complications and information about medications and any potential side effects. To provide SAFE, EFFECTIVE medical care. To provide an emotionally SUPPORTIVE atmosphere. To EDUCATE the patient and her family, to teach them the basic principles of obtaining wellness including family planning and prevention of disease. To provide comprehensive reproductive health services and appropriate referrals for specialized care. We tailor your health education, decision-making, medical procedures, and follow-up care to your individual preferences and needs. We have been helping women and their families cope with an unplanned pregnancy since 2002. We can HELP YOU recognize that once you are pregnant there is no way forward without sacrifice. We trust you to make the decision that will best nurture your future, your faith, your heart and your family. Falls Church Healthcare has been nationally recognized for our unwavering pro-choice advocacy since our founding in 2002. We are passionately and actively opposed to the current political assault on reproductive rights. Follow us on our Facebook page. FCHC served as a co-sponsor for the March for Women’s Lives and staff and supporters joined the Women’s March on Washington under our banner of “Bring Only Love” . Former patients, physicians and social agencies continue to refer women to our newly renovated Center, testimony that the community continues to recognize the quality and appreciates the comprehensive pro-choice services offered by the Center and our dedicated staff. Falls Church Healthcare Center is proud to be members of National Abortion Federation, Abortion Care Network, the DC Doulas for Choice Collective, Physicians for Reproductive Health, as well as the the Association of Reproductive Health Professionals (before their closing in 2019). We are supporters of NARAL Virginia, Washington Area Clinic Defense Task Force, the Religious Coalition for Reproductive Choice, and Faith Aloud. FCHC is listed in Abortion Clinics Online, Women’s Health Interactive and the Princeton Directory of E.C. Falls Church Healthcare Center is pleased to announce that currently our center is the first in Virginia and one of two in the DC Metropolitan Area to provide pro-choice doula services to our patients. Feel free to learn more about us by calling us. 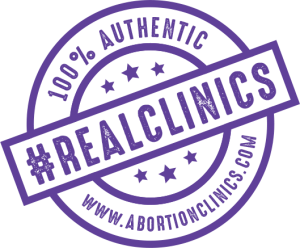 Have no fear, #RealClinics are here. With the passage of bills that support fake clinics, we want to ensure our new patients and those seeking abortion care, that we are a real clinic. One that supports your decision and provides you with the best health care possible.